Now that fact-checking has matured, "we need to make sure that our work is rock solid." 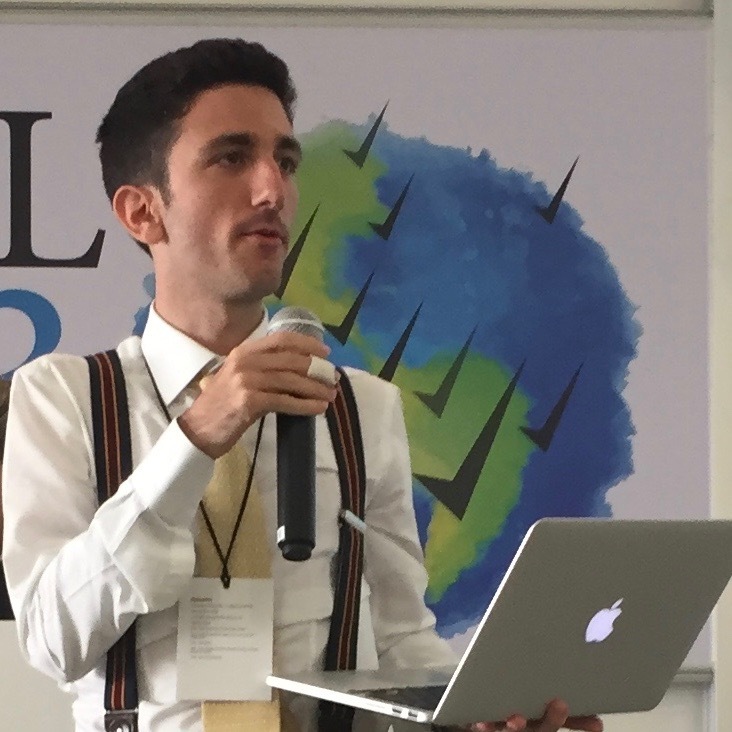 My opening remarks at GlobalFact 3, the third annual meeting of the world’s fact-checkers, oragnized by Poynter’s International Fact-Checking Network and the Reporters’ Lab, held June 9-10, 2016 in Buenos Aires, Argentina. It’s amazing how our group has grown. 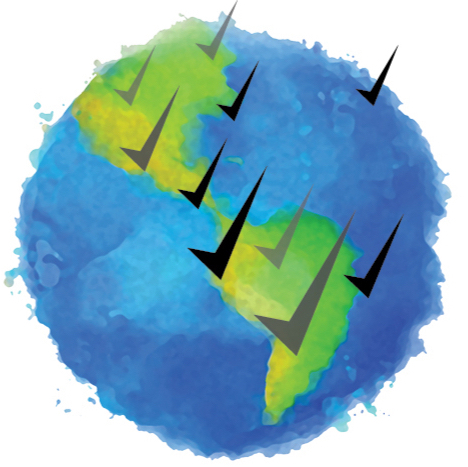 Our latest tally in the Duke Reporters’ Lab is 105 active sites around the world, which is up more than 60 percent from last year. We’ve also seen marvelous growth in international collaborations. Alexios has organized some impressive check-a-thons for economic summits and other events, uniting more than a dozen fact-checkers for a single event. And a few months ago, Africa Check joined PolitiFact for an unprecedented partnership to check claims about global health and development. Our fact-checks are increasingly having an impact. Politicians cite them in speeches and campaign commercials. One organization recently emailed its senior staff reminding them about the new Africa Check-PolitiFact project, cautioning them to be accurate in their statements. In Ireland, attention generated by a Journal.ie fact-check halted a viral social media campaign to “name and shame” Irish parliamentarians for their purportedly low attendance at a debate on mental health services. More than 100 people attended the conference, which was held in Buenos Aires, Argentina. Our audiences are growing. In the United States, the three big fact-checkers are all reporting record-breaking traffic. A debate article by FactCheck.org got more than 1.8 million page views on the site and partners such as MSN.com. In the United States, we have a presidential candidate named Donald Trump — perhaps you have heard of him — who has shown why fact-checking is so important. Some pundits have said his disregard for facts shows we live in a “post-fact” era when facts no longer matter. But I think it shows a more positive story: we know about Donald Trump’s falsehoods because of the tremendous work of a growing army of fact-checkers. We’ve reached a point where fact-checking is no longer a novelty. It’s no longer something that we have to explain to the people we’re checking. It’s now a mature form of journalism — and an expected part of how news organizations cover political campaigns and government. But now that fact-checking has matured, it’s time to make sure we push our journalism to the next level. To maintain our status as trusted sources, we need to make sure that our work is rock solid. Our fact-checks must be thoroughly researched using the most independent sources available. Our writing needs to be clear and concise. In the past year, the students and colleagues who maintain our fact-checking database have come across a couple of sites that primarily check one party in their political system. That’s not fact-checking; that’s advocacy. To be a reputable fact-checker, you must check all the players in your political systems. Fact-checkers also need to be transparent in our work. We need to explain how we choose statements to check and how our ratings work. We need to reveal our sources and be clear how we reached our conclusions. We also need to be transparent about the funding and structure of our organizations. We need to explain who gives us money and reassure our readers and consumers that we are not political activists. We also need to continue to expand our audiences. I continue to be surprised by the relatively limited use of fact-checking on television. We should seek more partnerships with TV networks and show them that the fact-checking makes great TV. You will love hearing from our keynote speaker, Natalia Hernández Rojo, who does some of the best TV fact-checks in the world for La Sexta’s El Objetivo in Spain. We can all learn a lot from Natalia. Finally, I want to conclude with a suggestion. In catching up with many of you in the past couple of days I have realized that I have not done enough to follow your work. So I’m going to set a new goal to read one fact-check every day. I’ll randomly choose a site from our Reporters’ Lab database and read the most recent one. I encourage you to do the same thing — a fact-check a day. It’s a new way that we can continue to build our community. By reading each other’s work, we can learn about each other and improve our work. It’s a wonderful time to be in our movement. Fact-checking keeps growing and it has become a powerful force that informs democracies around the world. We need to maintain that momentum and make sure that our work is the best it can be. Eight undergraduates will assist with news experiments and help explore the future of journalism. Student researchers play leading roles at the Duke Reporters’ Lab, experimenting with new forms of storytelling and exploring the state of newsroom innovation. With the start of a new academic year, a team of eight students are donning white lab coats to help us map the future of journalism. Their involvement is one of the things that makes the Lab such a lively place (especially for this Duke newcomer). These students will investigate ways to create new “structured” story forms that allow journalists to present information in engaging, digital-friendly ways. They also will track and help foster the work of political fact-checkers that are holding politicians around the world accountable for their statements and their promises. Natalie Ritchie: Over the summer, Natalie was a reporter for Structured Stories NYC — the Reporters’ Lab effort to test a new storytelling tool in the wilds of New York politics. She is co-editor in chief of the Duke Political Review. A public policy senior with a focus on international affairs, Natalie previously interned with the Senate Foreign Relations Committee, worked as a student communications assistant for the Duke Global Health Institute, and taught English to Iraqi, Palestinian, and Syrian refugees in Jordan. In addition, she interned for Republican Sen. Bob Corker of Tennessee, her home state. Ryan Hoerger: The sports editor of The Chronicle, Duke’s student newspaper, is a senior from California double-majoring in public policy and economics. Last summer Ryan covered financial markets as an intern for Bloomberg. Before that, he interned for Duke magazine and conducted policy research during a summer stint at FasterCures. He is currently finishing up an undergraduate honors thesis that examines federal incentives for pharmaceutical research and development. Shannon Beckham: Shannon, a public policy senior from Arizona, has seen how political fact-checking works from both sides of the process, having interned in the White House speechwriting office and at PolitiFact, the Pulitzer-winning service run by the Tampa Bay Times. She worked for the Chequeado fact-checking site in Buenos Aires, where she assisted with a 2014 meeting of Latin American fact-checkers. At the Reporters Lab, she helped start our database of fact-checking sites and organize the first Global Fact-Checking Summit last year in London. Gautam Hathi: A junior in computer science who grew up near the Microsoft campus in Redmond, Wash., Gautam is already working at the intersection of news and technology. Having interned for Google and 3Sharp, the computer science major is now the digital content director for The Chronicle at Duke. He previously was The Chronicle’s health and science editor and is a contributing editor for the Duke Political Review. Shaker Samman: Shaker is a public policy junior from Michigan. At the Reporters’ Lab, he worked on fact-checking and structured journalism prototypes and co-authored a PolitifFact story on the North Carolina Senate race with Lab co-director Bill Adair. He has interned as a reporter for the Tampa Bay Times in Florida and The Times Herald in Port Huron, Mich., where he also worked on his high school radio station. Claire Ballentine: Claire is head of the university news department at The Chronicle. She began working for the Lab last year, helping update our database of political fact-checkers. The sophomore from Tennessee also has blogged for Her Campus and worked as an editing intern for the Great Smoky Mountains National Park Association. She was the editor-in-chief of her high school yearbook. Jillian Apel: Jill brings an eye for visual storytelling to the Lab. A sophomore from California with a passion for writing as well, she was the managing editor of the student newspaper at the Brentwood School in Los Angeles. Julia Donheiser: Julia’s data savvy comes via a social science research project she started as a student at the Bronx High School of Science. With guidance from a pair of educational psychologists, she crunched statewide numbers from school districts across New York to investigate the effects of various social factors on diagnosis rates for autism and learning disabilities. Now a freshman at Duke, she worked on the student newspaper at her high school. She also wrote a food blog that will make you hungry. 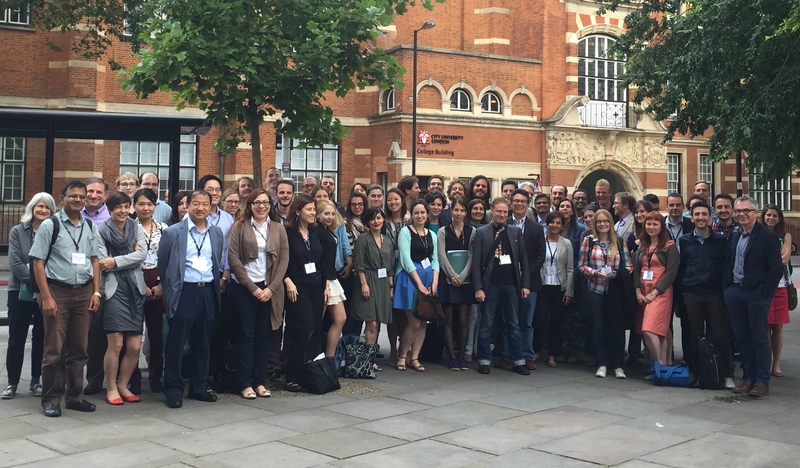 One thing stood out at last week’s Global Fact-Checking Summit: the variety of the voices. 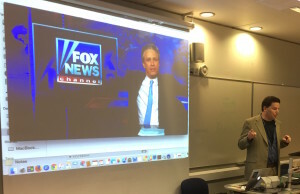 The conference, held at City University London, was in English, but the 60-plus participants had wonderful accents that showed the great diversity of fact-checking around the world: Irish, Russian, Spanish, Italian, German, Bosnian and Korean, among many others. 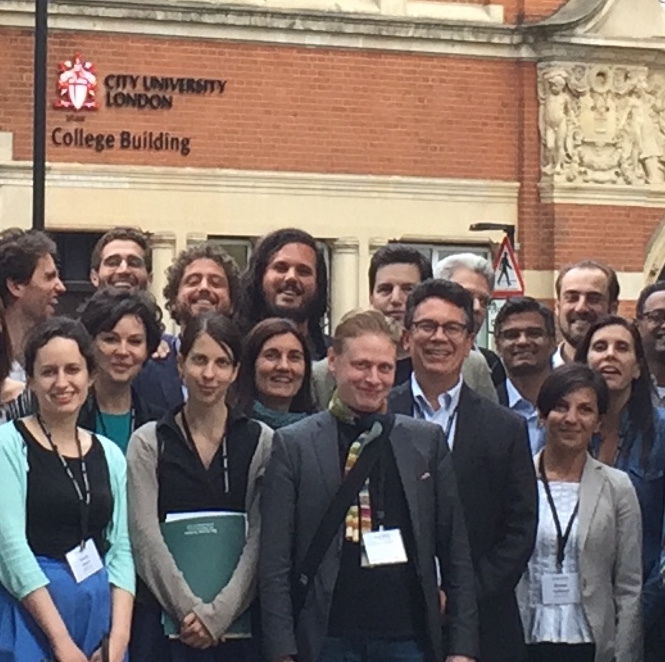 The second annual Global Fact-Checking Summit attracted more than 60 fact-checkers and academics to City University London. 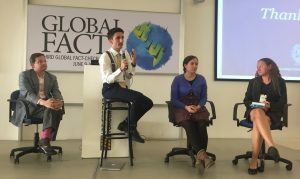 Reflecting the growth of fact-checking, the group included representatives of new sites that have started in the past year or will be starting soon. 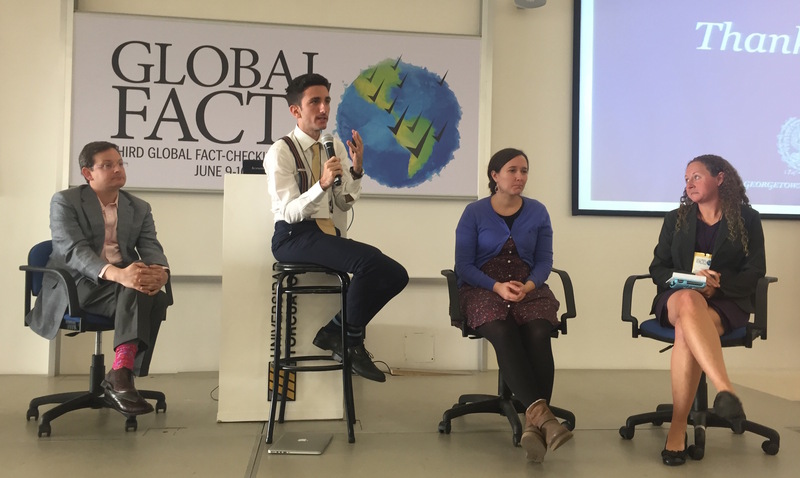 The new fact-checkers included Enda and Orna Young from FactCheckNI in Northern Ireland; Dana Wagner and Jacob Schroeder of FactsCan in Canada; and Damakant Jayshi, who is starting a site in Nepal. The most significant news from the conference, announced last Friday, was that Omidyar Network and the National Endowment for Democracy have provided funding to the Poynter Institute to become the home of international fact-checking. Poynter will organize future conferences like this one, create training programs and establish a website. The website will be welcomed by the fact-checkers who said they need a place to discuss common problems and share best practices. Our keynote speaker was Adam Chodikoff, a senior producer at The Daily Show with Jon Stewart. One of Adam’s roles at the show is to be Stewart’s fact-checker, to ensure that even the best satire is grounded in fact. Adam is not a journalist in the traditional sense, but he showed how serious he is about research and fact-checking by attending all of the sessions in the two-day conference. 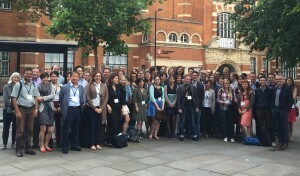 The conference featured a wide range of presentations that showcased interesting work being done around the world: the commitment to research and development by Chequeado in Argentina; a new PolitiFact browser extension that will allow readers to request fact-checks of a phrase and Pagella Politica’s efforts to earn revenue from the leftovers of its reporting. One of the most popular sessions at the conference was the in-depth discussion about sustainability and revenue sources that Alexios Mantzarlis of Pagella Politica led on Friday. His interview with Ivana Cvetkovic Bajrovic of the National Endowment for Democracy provided great insights for fact-checkers seeking grants for their organizations. Laura Zommer from Chequeado and Mevan Babakar from Full Fact also provided some great tips on crowdfunding. There were many other great sessions throughout conference, and I think everybody agreed the two days went by too fast. But I came away with a common theme: As we build our community, we’ll get the best ideas from each other. That brings me back to the voices. There were some great individual voices with some marvelous accents. But as a community, we’re getting louder. This is an exciting time for fact-checking around the world. A year ago, we had 44 active fact-checking groups. Today we have 64. We’ve got new sites in countries where there hasn’t been any fact-checking before — South Korea and Turkey and Uruguay. And we’ve got many fact-checking sites in Latin America thanks in part to the energetic work of Laura Zommer and her talented colleagues at Chequeado. And joining us today are journalists from brand-new fact-checking sites just getting started in Nepal, Canada, Northern Ireland and Russia. Wow. Think about what is happening here: politicians in Nepal and Canada and Mexico and Northern Ireland and Russia are now going to be held accountable in ways that they never have before. Fact-checking has become a powerful and important new form of accountability journalism around the world. We should be very proud of what we’ve accomplished. There are some great stories about our impact. 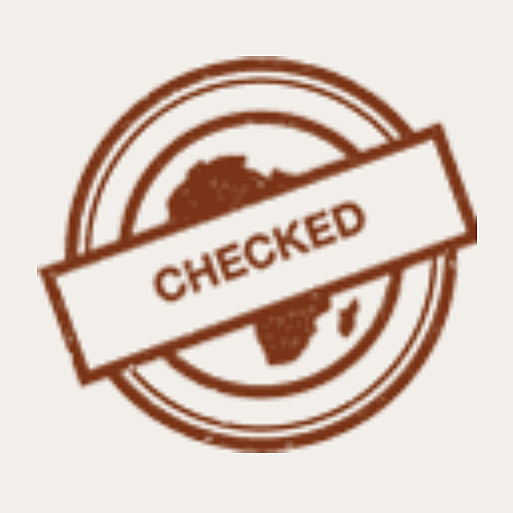 In South Africa, Africa Check has become such an important part of the news ecosystem that when someone from the main opposition party gives a speech, the party routinely issues a standard form – they call it the “Africa Check Response Form” – to list sources that back up claims the politician is making during the speech. In Italy, a politician posted on his Facebook page that several thousand policemen had tested positive for tuberculosis because they had come into contact with immigrants crossing the Mediterranean illegally. The rumor fueled fears in Italy that the disease was about to become an epidemic. Pagella Politica fact-checked the claim and found it was ridiculously false. When confronted with the fact-check on a radio interview, the politician had the good sense to apologize for spreading a false rumor. In the United States, fact-checkers are already uncovering falsehoods of the 2016 presidential candidates at a remarkable pace — and the election is more than a year away. This is a wonderful moment for our movement. In hundreds of ways big and small, fact-checking has changed the world. But rather than spend a lot of time celebrating the progress we’ve made, this week I think we should focus on the future and discuss some of our common problems and challenges. We need to talk candidly about our readership. Although our audience is growing, it is still way too small. I expect that in most countries, fact-checks reach only a tiny percentage of voters. We can’t be complacent and wait for people to come to our sites. We must expand our audiences through creative marketing and partnerships with larger media organizations. We must get our fact-checking in the old media — on TV and radio and in newspapers — even as we experiment with new media. We also have to find new ways to make our content engaging. As we all know from looking at our metrics, there is a limited audience that wants to read lengthy policy articles. We need to find ways to make our content lively while still maintaining depth and substance. We also need to focus on the quality of our journalism. Tomorrow morning Lucas Graves will be unveiling the first content analysis of fact-checking around the world. I’m hopeful it will lead to a thorough discussion of our best practices and, later this year, to a more extensive analysis of more sites in more countries. We do that because sites come and go, particularly after elections. In some cases, that’s because news organizations mistakenly believe that fact-checking is only needed during a campaign (Do news executives really think politicians stop lying on election day?). In most cases, sites go inactive because the funding dried up. So at the conference this week, we must explore a wide variety of ways to pay for our important journalism. We can’t depend solely on foundations the way many of us have done. Likewise, those of us who have been fortunate enough to have been supported by legacy media organizations like newspapers and television networks would also be wise to find additional sources of revenue. We need to think broadly and be creative. We can find long-term success the same way investors do: by diversifying. If we seek different types of revenue from more sources, we’ll be less vulnerable when one goes away. I rate that statement Half True. While it’s true that computers can’t write fact-checks for us – yet – we have found ways they can help with our analysis, particularly with mundane and repetitive tasks. As you’ll see in a session tomorrow, research projects at Duke, the University of Texas at Arlington and other places are showing great promise in using computational power to help journalists do fact-checking. Actually, computers CAN assess rhetoric and propaganda. Although we are still years away from completely automated fact-checking — letting the robots do fact-checking for us — we have made tremendous progress in just the past year. I think we’re just three to five years away from the point when automation can do many of the tasks of human fact-checkers — helping us find factual claims, helping us assess whether claims are accurate and providing automated ways to broadcast our fact-checks to much larger audiences. We should not be afraid of technological progress. It will help us be better journalists and it will help us spread our messages to more people. I’m glad you’re here. We’ve got some lively discussions ahead. Whether we’re talking about our challenges with funding, the importance of lively content or the promise of new technology, our goal is the same: To hold people in power accountable for their words. Our 2015 census of fact-checkers reveals the odd names they use for the most ridiculous falsehoods. 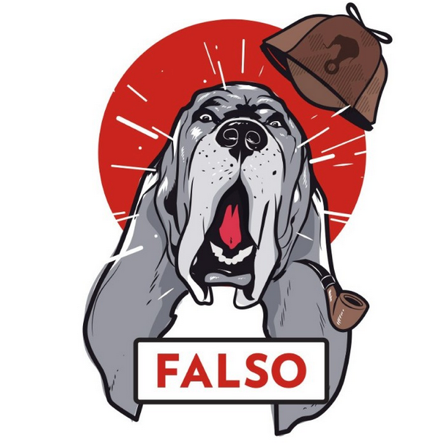 From Rome to Hawaii and everywhere in between, the growth of political fact-checking has spawned new rating systems that use catchy names for the most ridiculous falsehoods. Canada’s Baloney Meter measures the accuracy of politicians’ statements based of how much “baloney” they contain. This ranges from “No Baloney” (the statement is completely accurate) to “Full of Baloney” (completely inaccurate). The Washington Post Fact Checker, written by reporter Glenn Kessler, utilizes the classic tale of Pinocchio to rate the claims made by politicians, political candidates and diplomats. A rating of one Pinocchio indicates some shading of the facts, while two Pinocchios means there were significant omissions or exaggerations. A rating of four Pinocchios simply means “whoppers.” The French site Les Pinocchios uses a similar scale. PolitiFact, the fact-checking venture of the Tampa Bay Times, uses the Truth-O-Meter, which rates statements from “True” to “Pants on Fire” (a rating reserved for the most ridiculous falsehoods). 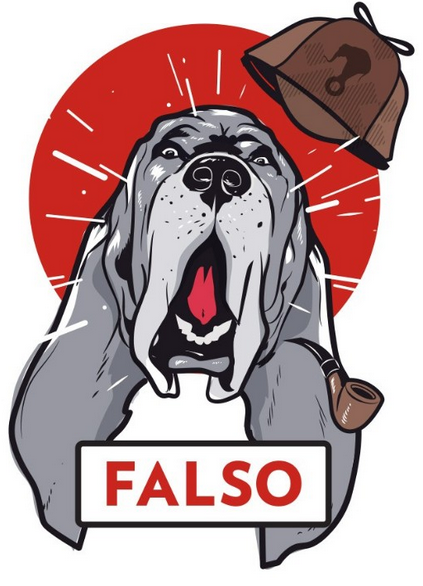 Mexico’s new site The Hound rates statements from “Verdadero” (true) to “Ridiculo” (ridiculous), accompanied by images of dogs wearing detective hats. Uruguay’s UYCheck uses a similar scale. Argentina’s Chequeado also uses a “Verdadero” to “Falso” scale, plus ratings for “Exagerado” (exaggerated) and “Enganoso” (deceitful/misleading).